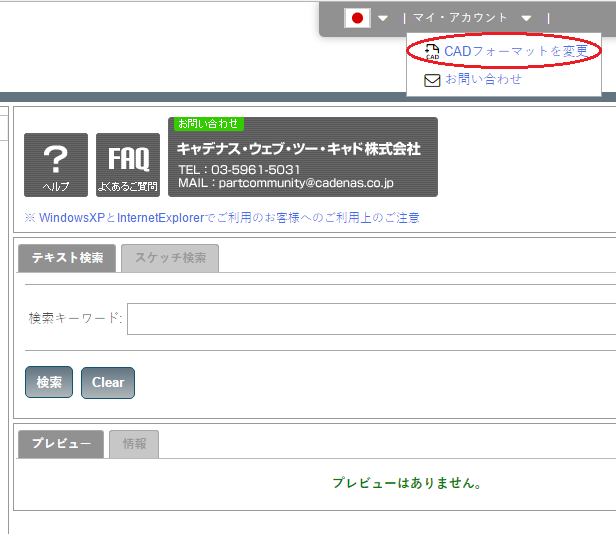 or from the "My Account" menu available on top of the screen, visible after login. Select the desired CAD format for generation. You can choose up to 3 different formats. Please remove some formats from your selection if you wish to add other ones. This icon shows informations on the selected format. This icon will Remove the format from your selection. After your selection is complete, please click Save to go back to the selection page.